Autism Spectrum Disorders (ASD) are estimated to affect up to 1 in 68 individuals in the community. They begin in early childhood however may not become fully apparent until the child commences school. Children and teenagers with ASD find the social world difficult to understand and struggle with flexibility. Common difficulties include struggling to make friends, sensory sensitivity, obsessing over details, fixating on topics and becoming anxious when changes occur. However it is important to remember that children develop social and emotional skills at different rates. To identify an Autism Spectrum Disorder a comprehensive assessment needs to take place by a qualified professional. 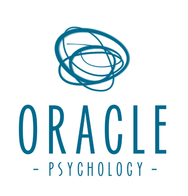 Oracle Psychology has clinicians with years of experience conducting Autism assessments in the Newcastle, Hunter and Lake Macquarie areas. Our comprehensive Autism assessments take place at our Newcastle based offices in a calm and comfortable setting. We begin by conducting an in depth interview with parents/carers in order to gain a detailed understanding of your child's needs, developmental history and day to day functioning. The assessment includes feedback from teachers using norm referenced questionnaires to provide input into how your child presents at school compared to their peers. We also assess your child's cognitive development and other relevant abilities to gain a deep understanding of your child's strengths and areas of need. Our experienced clinicians utilise formal Autism assessments in conjunction with their highly developed professional skills to observe the way your child interacts, communicates and participates during the activities. The Child Psychologists then use their clinical judgement to consider all of the information collected during the assessment sessions in relation to internationally recognised criteria for the diagnosis of ASD. Our Child Psychologists conduct assessments for ASD and other developmental conditions with children and teenagers. Identifying Autism Spectrum Disorders early in life is important so early intervention supports can commence. Many children on the Autism Spectrum can make functional gains by engaging with early intervention providers such as Psychologists, Speech Pathologists and Occupational Therapists. Identifying difficulties early and beginning treatment promotes positive outcomes later in life. Some individuals with ASD diagnosis may also qualify for additional funding support through the government or their schools. If you are concerned regarding your child's social and behavioural difficulties call our office in Newcastle on 02 4929 2223 and we would be happy to discuss an assessment with you.